Honeycomb shades home office These neutral colored honeycomb cellular shades can be raised at the bottom, lowered at the top, or both at once. They are mildly sheer and conveniently cordless. Lowering these shades from the top allows for undistracted concentration at your desk, but lets in enough natural light so as not to feel trapped and isolated. 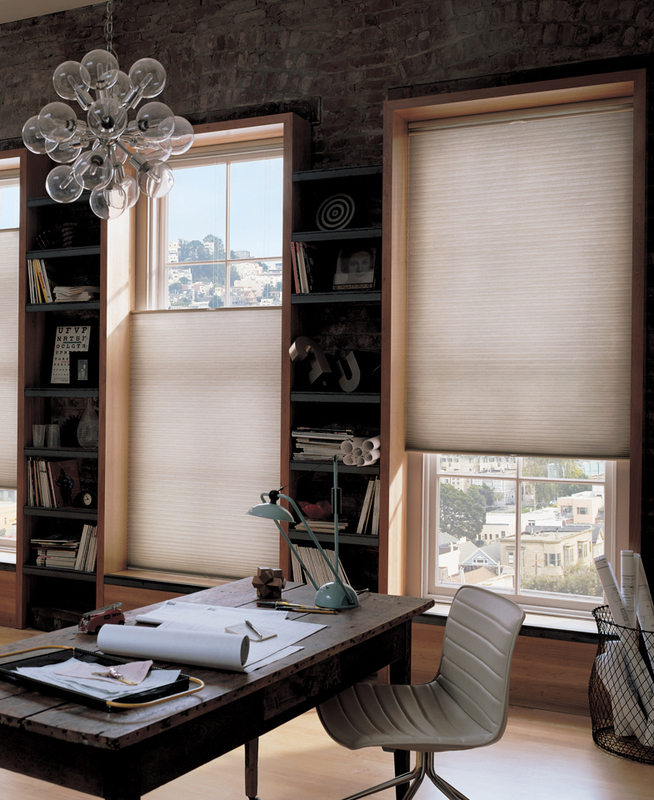 Pirouette shadings home office These neutral colored pirouette shades work like blinds but with the subtleness of fabric. 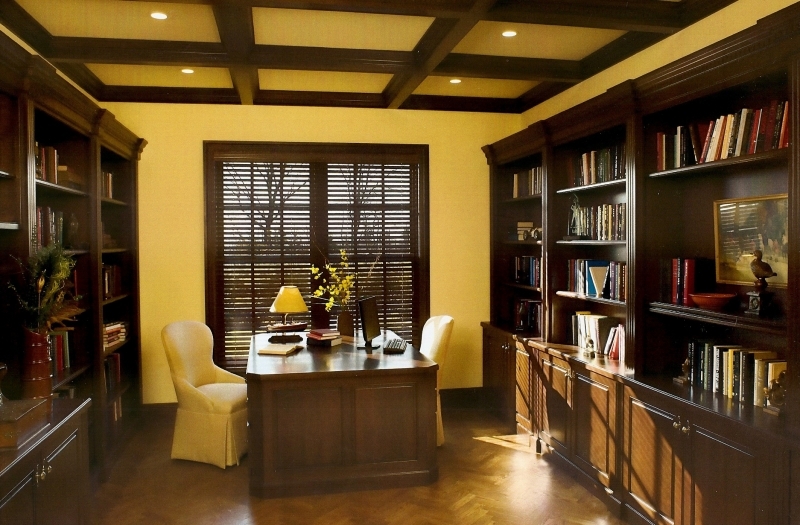 They work ideally to soften the ambience of this home office, allowing it to feel sophisticated yet still masculine. Transom windows will let in all the natural light you may need if you close the slats of the blinds for a refreshing nap after lunch. 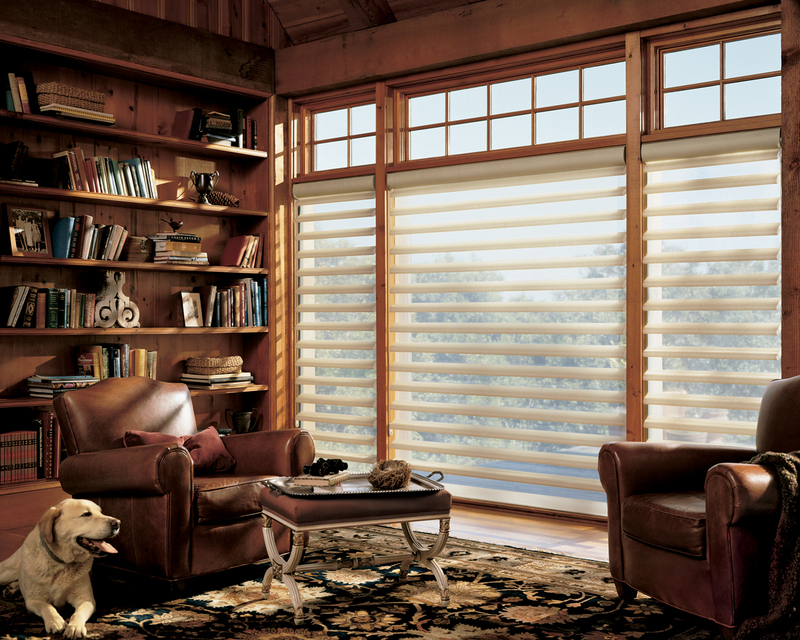 Shutters home office Are these shutters real wood or faux wood? It’s simply too hard to tell thanks to modern techniques and meticulous craftsmanship. Both functional and tasteful, they give your home office a taste of timeless charm and, particularly in this setting, blend flawlessly with the window frame, bookshelves, and other wood furnishings. Wood cornice drapes office Notice how the wall paneling and fireplace mantle coordinate perfectly with the richly stained crown molding cornice to drive home an old-world setting. 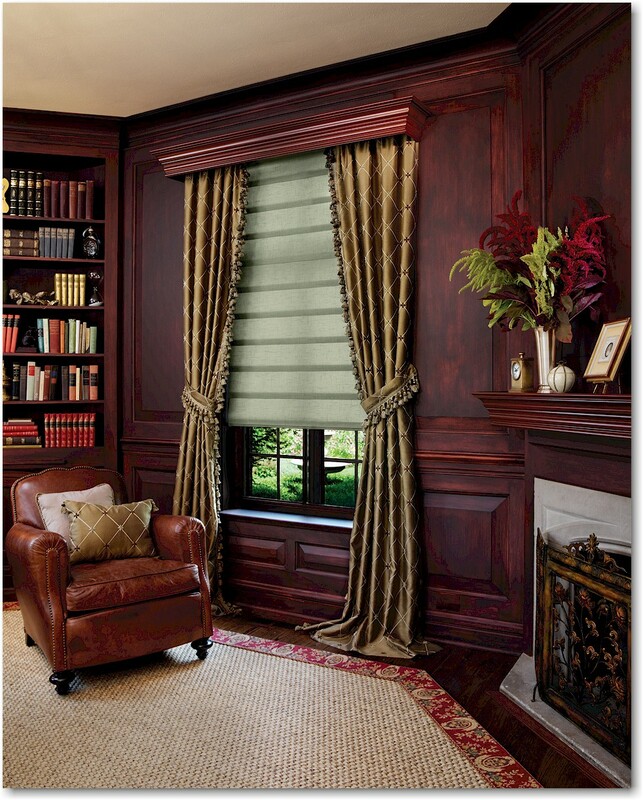 The Roman shade and classically luxurious side panels allow for any level of lighting or lack thereof. This office is both masculine and glamorous - not an easy combination to achieve.